Wikibookz has no real Settings at its current state, the Language is auto seleced based on your Device Setting, so if you e.g. 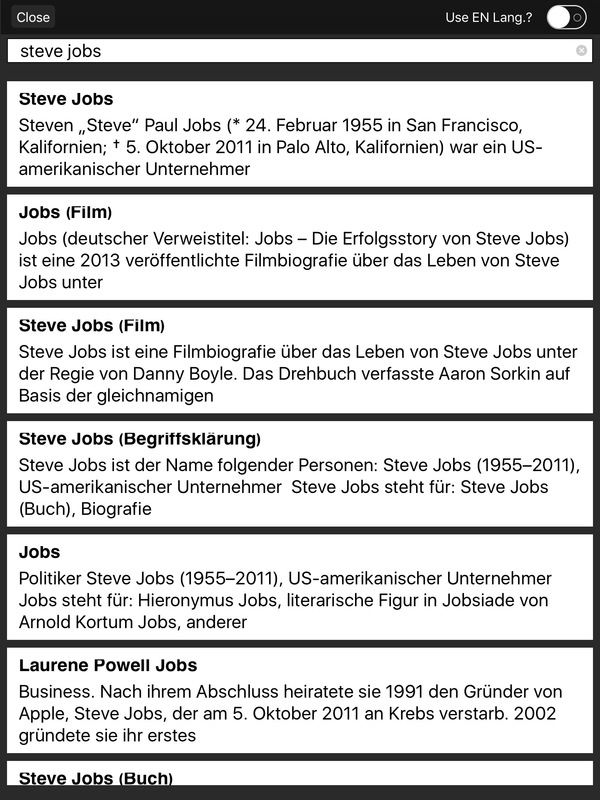 live in Germany and your Language is german on the Device, the Articles and Search are in german as well. So dont be confused, the Screenshots use german language while thats my Setting and i din't change it to English. There is also no Font-Size setting, WikiBookz uses the System Accessibility setting for Large Text you use on the whole Device. WikiBookz uses iCloud if you use this to sync Articles across iOS Devices, so all Articles you read are also on your iPad or iPod Touch if you use them. Click any Image to zoom out. The first Screen you see is a Book Shelf inspired User Interface that collects all read Articles as Books on it, you scroll horizontally using paging between Articles once your first Screen is filled. From here you have just 2 options what to do, either you tap on the looking Glas to search for an Article, or you toggle the center Button at the bottom for additional Settings or Actions. As you can see, there is nothing else, it was tried to keep things as simple as possible. 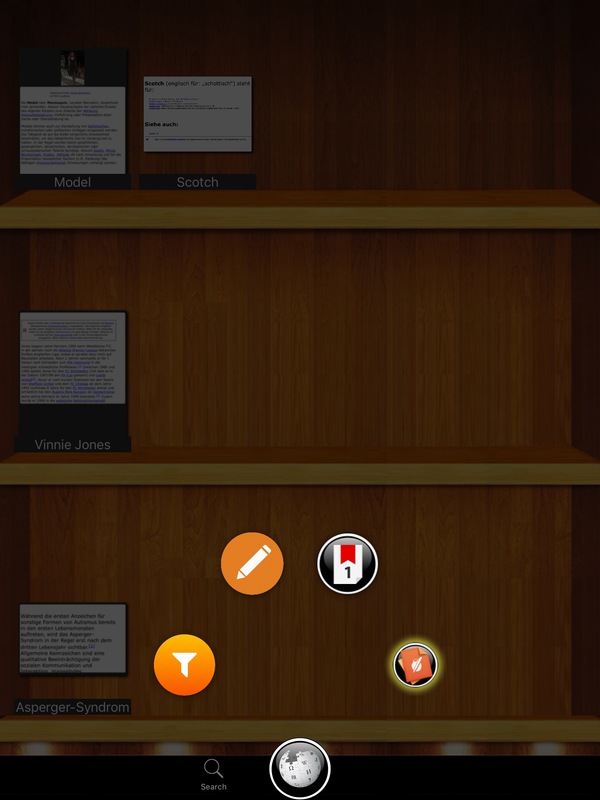 - Edit Articles in your Shelf ( The Article Previews star to jiggle like iOS Default Behaviour, you can than tap Delete Button in the top left corner or delete All from the Tabbar Item at the bottom right), once enabled repeat this Step to end editing. - Toggle to single Page Layout, which results in a simpler Article View that is just one Page and you scroll vertically - Toggle to Paged Layout, this results in one Page for each Section, which allows you to get faster to each section of your Interest. Search is simple and straight forward, you tap the search Button on the Shelf View to go here, start typing to search for whatever you attempt to find and thats it. The Paged Layout is an alternative to the default Layout, its main difference is that it splits Article Sections into Pages so you can switch faster to them if you need. This layout also has a nice Animation while switching through Pages that you already know from iBooks e.g. A Page Curl Effect which looks very nice. Once again you have the "Mark" Button at the top right which does the same as the Remember Button in the default View, but this time it doesn't remember the Scroll Position but the current Section/Page you are on and will auto turn it once you return. It also has a new Button called TOC, but for thsi read on. The single Page Layout is the Default Reading View, it mimics a regular Website Behaviour, so everything is on one Page, the Sections of an Article are indicated by a yellow Headline with its Title. Each Image is zoomable, simply tap on it and it will enlarge and you can even pinch zoom on it than too. 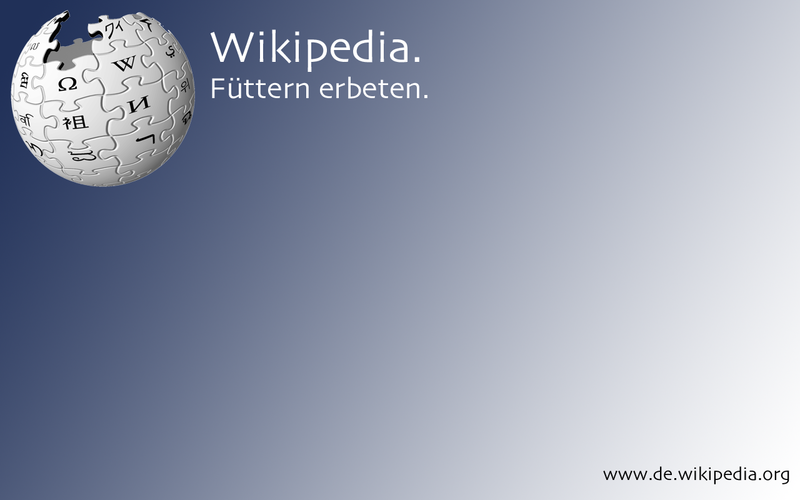 The only notable Action here is the "Remember" Button, which means WikiBookz will save and remember your current reading Position and once you return to it later, it will auto scroll to this position for you. Remembered / Marked Articles are indicated with a Ribbon on the Preview Image on the Shelf! Other than the Shelf, which is Portrait only on iPhone, the Article Views can be read in landscape as well once you need more Space for Tables e.g. The Table of Content (TOC) is an addition to the Paged Layout, while it is splinted into Sections, its logical that this Feature may be used here. 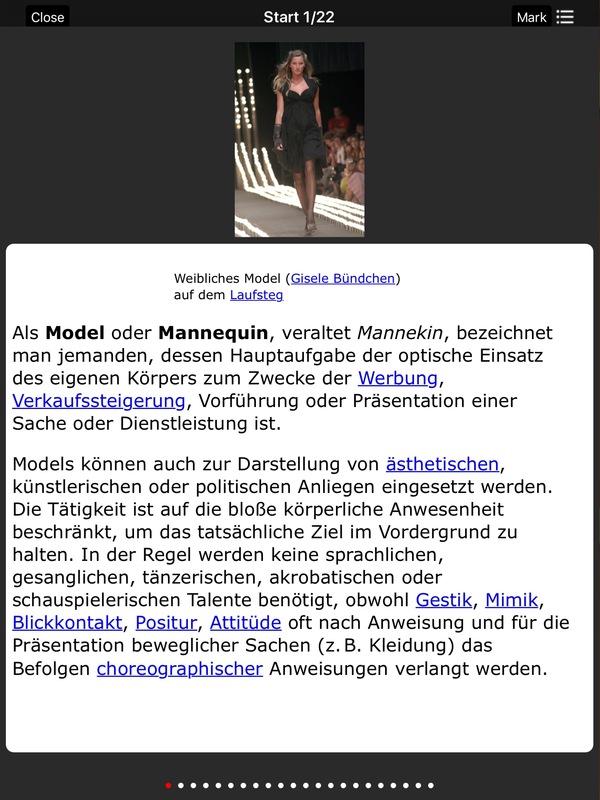 It allows you to see the whole Article in one view and switch to a particular Section if you like. Once you selected your desired Section, tap on the left aligned Article Preview to read it or simply swipe the TOC away to the right.